You order number is in the email confirmation received at the time of purchase. We process your order as soon as you make a purchase. So we are not able to process any changes even if it is not yet being shipped. You may return any item to us once you receive your order. Returned items have to be in line with our Return policy. My shoes are defective, what to do? Please contact us within 7 working days from the day you receive your order. Specify the defects and attach a picture of the shoes. Note that the shoes need to be unworn and with all the tags attached. Click on Sign in at the top of the page and then on the ‘forgot your password’ link. We will send a new password to your email address. I did not receive order confirmation. Please contact us and specify order date and items ordered. Very few orders are cancelled. The most common reason for cancellation is that we ran out of stock before processing your order. If your order (or part of your order) is cancelled, you will be refunded to your bank or paypal account. It can take up to 20 working days depending on your bank. Please contact us, if you do not see your refund within 20 working days. All payment is 100% convenient, safe & secure. Yes, we accept exchanges at our retail stores except for clearance and internet exclusive items. We also accept returns for all unworn items with 100% money-back-guarantee. Go to Returns page, enter your “order number” and “last name” to return your order. Is there any product warranty? Crocs are covered by a 180 days warranty. It applies to defects in materials and workmanship for 180 days from the date of receipt of product. Yes, return shipping is non-refundable. 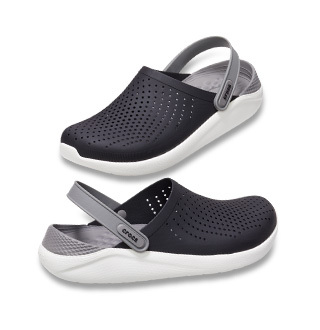 Can I return the shoes to any of the Crocs retail stores? Crocs retail stores do not accept any returns for online purchases. Crocs retail stores do, however, accept exchanges. Check details at Exchanges page. When can I get my refunds? We process your refund as soon as your returned product is inspected and confirmed that it is in line with our Return policy. It takes up to 2 weeks for the quality check. Once approved, the refund is processed within 1-2 working days to the payment service provider (example: credit card, PayPal). Please contact us, if you do not receive your refund within 20 working days. Does Crocs deliver to restricted zones and PO boxes? Our driver will call you to check if you would like your parcel to be left at a secure location of your choice, or you will receive an email/SMS to reschedule the delivery. We only ship within Singapore. Track order, enter your “order number” and “last name” to start tracking your order. Please contact us and specify your order number, item order, item receive. We will exchange the items to the correct ones. I did not receive newsletter with discount after signing up. 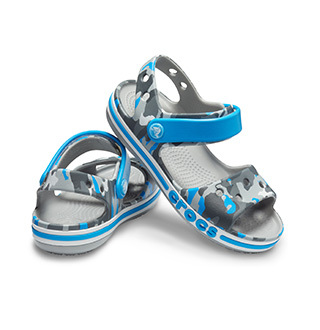 Add email@crocs-email.com to your address book to receive our upcoming offers. Is there any coupons available? Type coupon code into a dedicated field marked enter coupon code at the bottom of the shopping cart and click ‘apply’. Check that your coupon code is successfully applied in the order summary. The coupon codes are only eligible for use on items that are stated in the term and condition and within a specified period of time. They can only be used once and cannot be redeemed at retail stores. You can keep your classic Crocs clean by hand washing them with cold water and a mild soap. If you have Metallic leather Crocs, clean gently with a soft rubber sponge or slightly damp rag. Use a leather cream to restore shine and a protector spray to repel water. PU Wedges and heel material: A damp cloth should remove most dust and dirt. Avoid solvent cleaners wherever possible as these may destroy the glue used to bond the sole. For Suede and Lambs wool Crocs; clean upper gently with soft wire brush or plastic brush, spray with impregnation spray for water resistant. Leather Crocs and be cleaned gently with a humid rag or brush. Apply waxy shoe cream and polish/brush with soft brush, cotton or wool rag to a natural lustre.